As a dog owner, you’re surely aware of how important it is to give your furry friend the love and care they deserve. Whether you’re working long hours, going out of town for a day trip, or you need to have a pet-free house for the day, doggy day care can provide the perfect environment for your pet while you’re away. Clearview Veterinary Hospital proudly offers dog care in Metairie, and we would love to take care of your pet while you’re away. Two free sessions are included when you purchase 10 doggy day care sessions. Board a second dog and get $5 off of your total bill! As dog care experts, our mission is to make it as easy as possible for you to drop off your pup in the morning and pick them up at the end of the day. You may drop your dog off after 7:30 a.m. Please pick your dog up before 5:00 p.m. Pickup between 5:00 p.m. and 6:00 p.m. can be arranged for an additional $2. Please note that we have blackout dates during the weeks of Thanksgiving, Christmas, Mardi Gras, Labor Day, and the Fourth of July. Please give us a call to learn more about our availability during the weeks leading up to these major holidays. At Clearview Veterinary Hospital, we aim to make your dog’s time with us as fun and comfortable as possible. Your furry friend will have up to five play sessions (depending on their arrival time) with our staff and any other dogs in their family every day. Every member of our staff loves working with animals, and you can rest assured that your dog’s individual needs and personality will always be addressed. We know that it can be stressful for an animal to be immersed in a new environment, and we work to ensure that your dog feels relaxed and happy while they’re under our care. Be warned that they may not be ready to come home with you after spending the day with our staff! 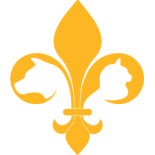 If you would like to learn more about our doggy day care in Metairie, then please read our reviews, reach out to us at 504-323-1156 , or fill out the form below. We look forward to seeing you and your pet soon! Pets staying with us 10 or more days get 2 complimentary sessions!